We tested the Bissell Proheat 2x Revolution Pet Pro 1986 carpet cleaner and this is our review. We tested it against some of the best carpet cleaners on the market, and not only did it win in terms of cleaning ability, it was better in many other ways as well. So first the cleaning ability. 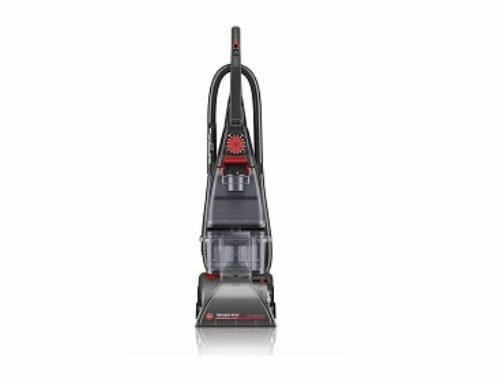 The Bissell Proheat 2x Revolution uses a two brush roll design which is so effective that pretty much every carpet cleaner manufacturer is moving to this design with certain models. With our Georgia red clay tests, it did better than all the others, deep cleaning in remarkably few passes. In our multi stain torture test, it cleaned the stains almost completely in one tank. I suppose it could have also cleaned the faint remnants if I’d used the hand tool, but in any case, its performance was significantly above average. But the true revolution of this new generation of carpet cleaners is their ease of use. 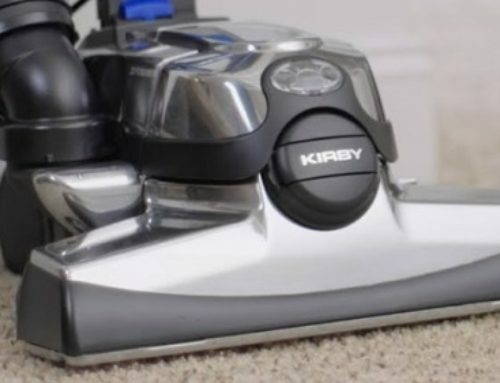 It moves just like a vacuum cleaner, which is a huge step up from the super bulky and super expensive professional carpet cleaners. It has a low profile so you can clean under furniture or other obstacles. It really changes the whole concept of carpet cleaning from a huge disrupting job to something that you can do on the fly as needed. In fact, they seem to have anticipated this with a spray adjustment switch called the express cleaning mode for light jobs like rugs or touch-ups. They claim that in this mode, carpet dries in about an hour. One of the cool innovations is something they call clean shot which is a foot pedal that shoots cleaning solution onto particularly tough stains. It turns on when you hit the switch and turns off when you hit it again. I found this to be a little difficult to hit the right spot and potentially messy, but there’s no doubting that it makes it much more effective on tough stains. It comes with two different hand tools, including a two-in-one pet tool, which can dry vacuum pet hair which is collected in a small container, then you can switch it to wet mode for cleaning. It also comes with the same tools sold with Bissell spot cleaners, but one of the best things about its attachment set is that the hose is very easy to attach. I know that sounds simple, but after testing a lot of upright carpet cleaners, it’s a lot more rare than you might think. The 8-foot hose seems sturdy and it’s long enough for small staircases but larger ones will require moving the cleaning unit to the top of the stairs to finish the job. Clean up was noticeably easy. The dirty water tank has an interesting outlet which causes the liquid to pour out in a controlled stream. It also has a removable plate on the brush roll housing for easy access to the brushes. It also comes with a significant five-year warranty. The main negative issues I had was with filling the clean water tank because it’s so tall you really need to use a large kitchen sink. Also, the power cord at 25 feet is slightly below average length. I would have preferred an extra 5 feet or so I know. We’ve been gushing about this Bissell Proheat 2X Carpet Cleaner but I’m pretty excited about how much it changes the carpet cleaning market. If for no other reason then you can finally get a carpet cleaner which cleans as good or better than the rentals which maneuvers like a vacuum.